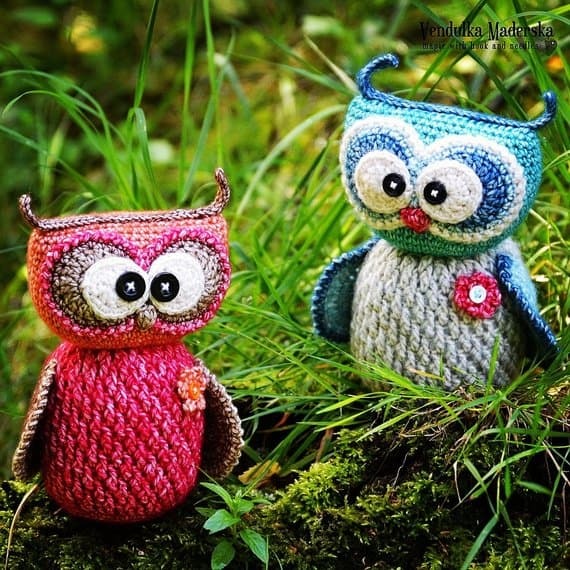 We’re on a bit of a Gruffalo binge in our house at the moment… “the owl saw the mouse and the mouse looked good…” So when I saw these FABULOUS amigurumi owl crochet patterns I just knew I had to collect them up and share them with you! 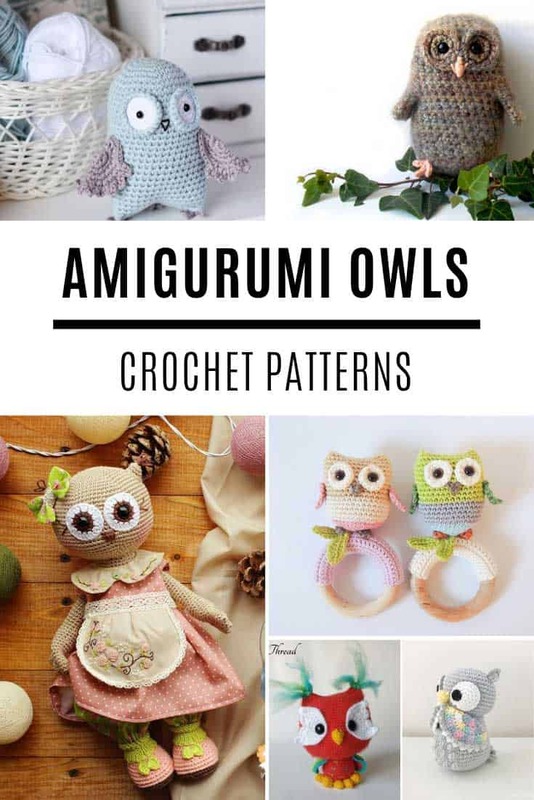 And don’t worry if you’ve never tried amigurumi before because we have an easy to follow tutorial for you to watch! 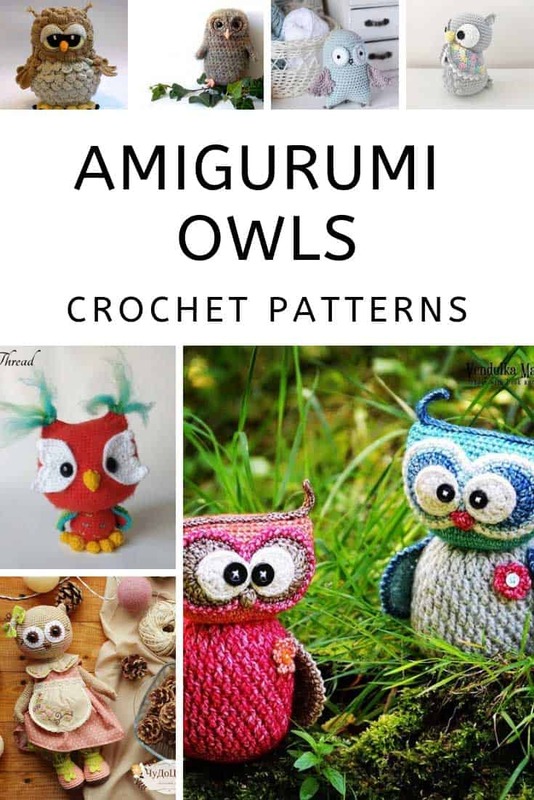 If you have never tried amigurumi before click play and watch the video above. Erica will walk you through all of the basics including increases, decreases, beginning with a magic ring, and the different ways to add faces. These owls are super cute but also super small so they won’t take forever to finish! Have you read the Owl Babies? It’s a wonderful children’s book by Patrick Benson and the inspiration behind adorable Bill the Owl Baby! 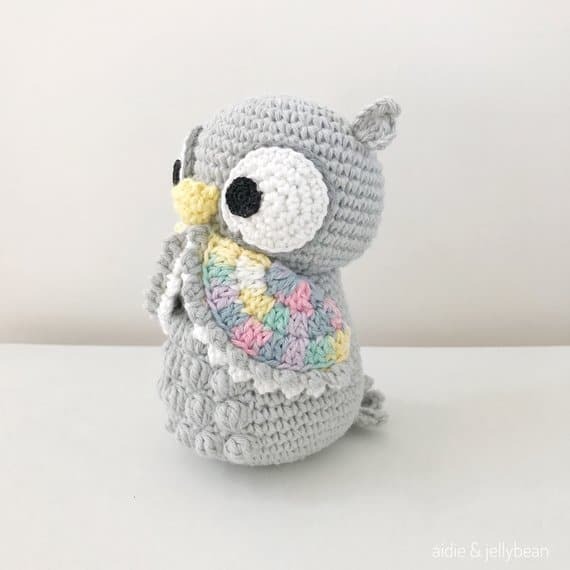 The owlet measures around 5.5 inches tall and paired with a copy of the book would make a fabulous baby shower gift, or even a first birthday present! 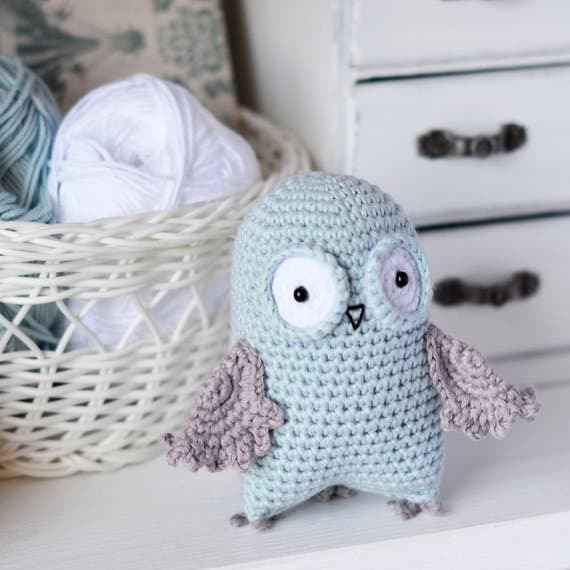 This sweet little owl stands at just under four inches tall and would be a super sweet crochet baby toy. Or he’d be just as much at home standing on your bookshelf! I love the details on his wings! 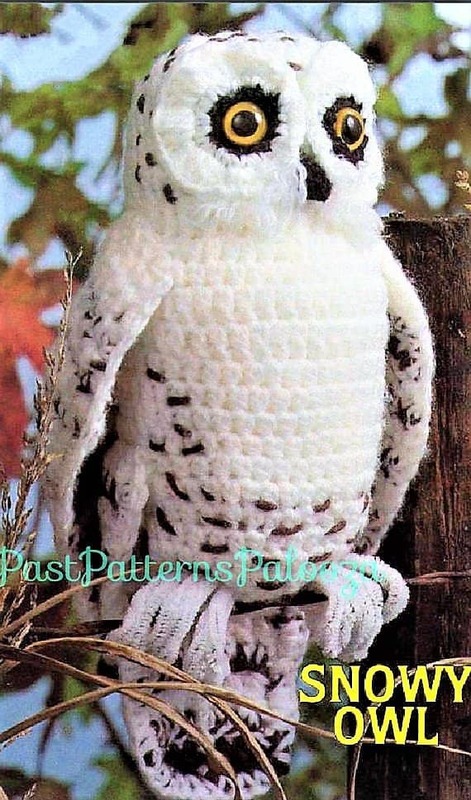 Wow, if you are looking for an owl to use as part of your home decor you cannot go wrong with this very wise looking vintage snowy owl! He stands 13 inches tall from the top of his head to the tip of his tail and would definitely be at home in someone’s study! I really can’t decide if this little owl looks sleepy or grumpy! He does have a lot of detail in his feathers making this a project for an advanced beginner at the very least. Oh my this little owl is as sweet as pie! Would you just look at those sweet wings? Worked up in pastels she’s the perfect baby gift, but I wonder how she would look with bright rainbow coloured wings as a gift for an older child? 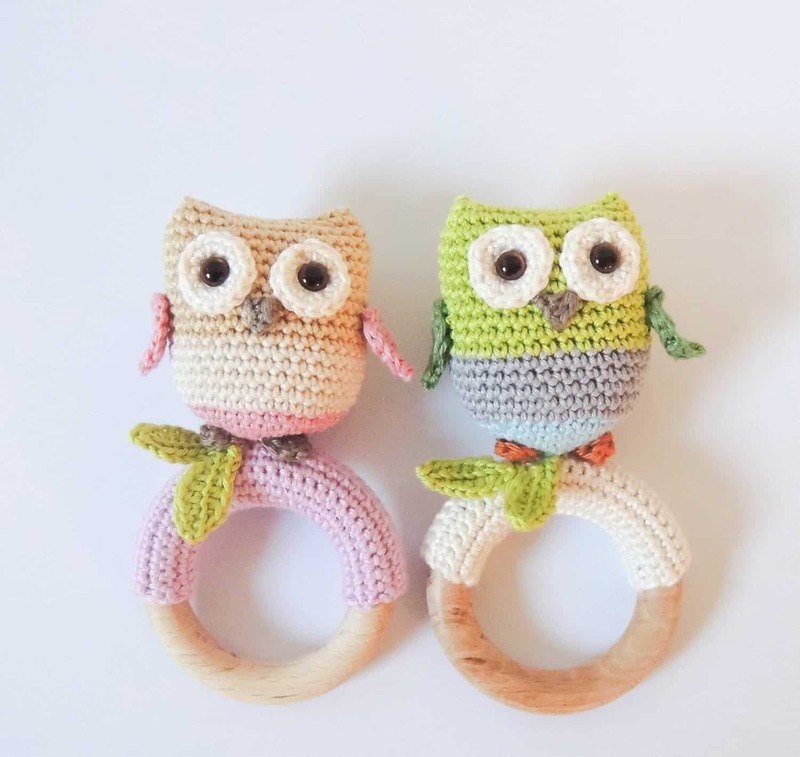 If you’ve got a little one in your life in need of a teething ring right now you should definitely give this sweet owl pattern a try! 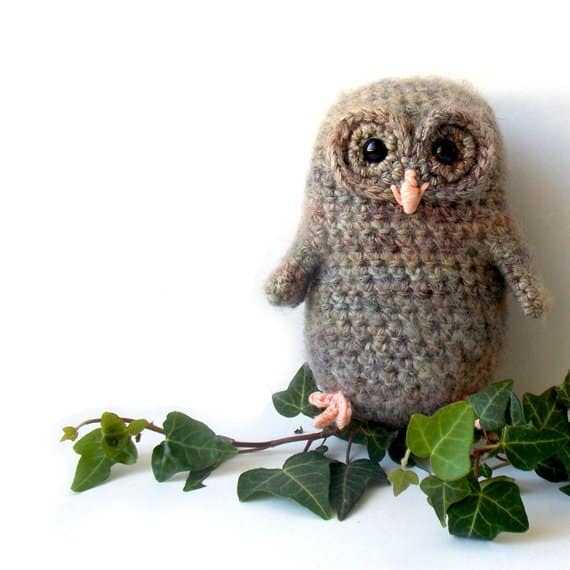 Or if you’re looking for an owl project to make for an older girl how about this adorable owl doll? The pattern shows you how to work up the doll herself as well as two different dress patterns, one you can sew and one you can crochet. 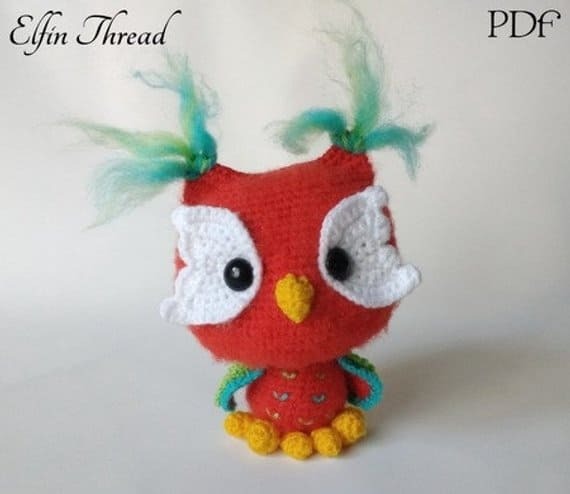 I am totally in LOVE with this little “frazzled around the edges” owl! He looks just like I feel after I’ve had a hectic day! 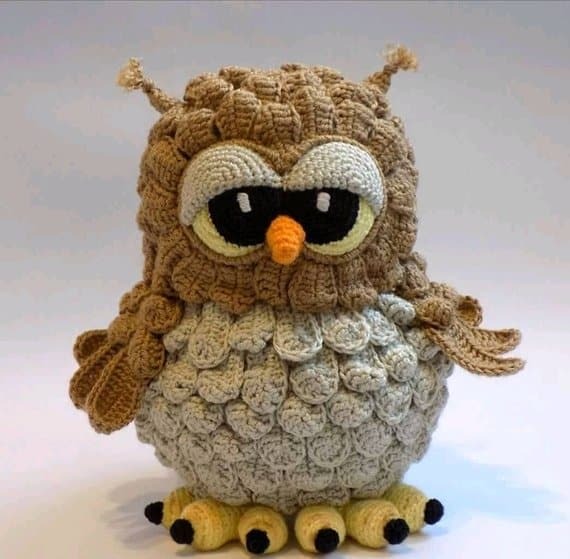 He’s the perfect project for using up your scrap yarn! 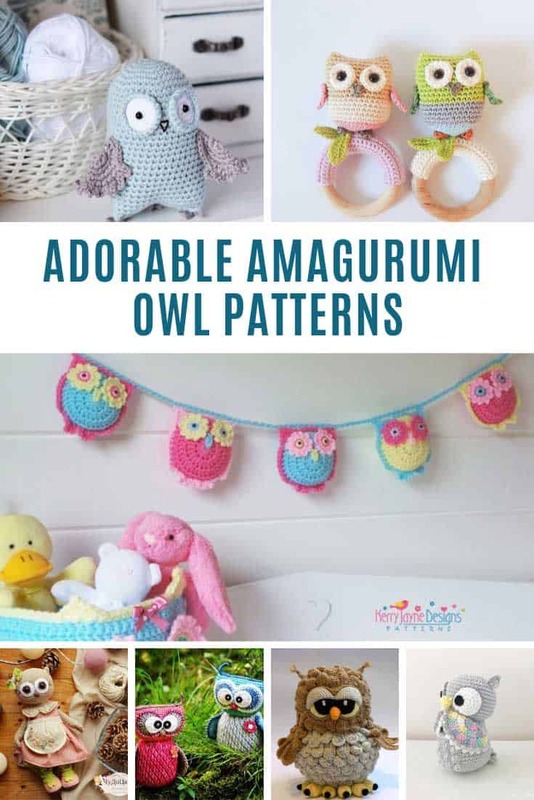 I love seeing patterns worked up in different colours, and now I’ve seen two of these fabulous owls I would say they definitely need to be worked up as a pair! Every owl needs a friend right? Oh my goodness this is so STINKING cute! An owl basket full of tiny owlets! 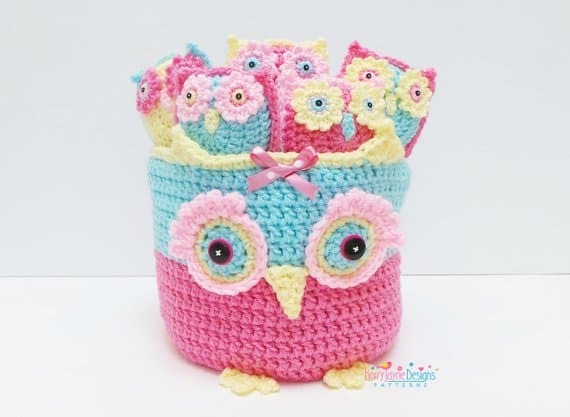 If you’re expecting and planning on an owl themed decor for the nursery you should make this storage basket! 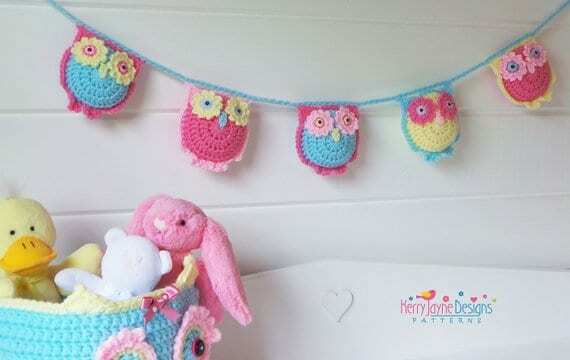 The little owls can be sweet little toys, or you can string them up and turn them into crochet bunting! So sweet! Previous PostPrevious Overnight Oatmeal Recipes that will Make Your Day! Next PostNext Chicken Meal Prep Bowls that Will Help You Get Through the Week!